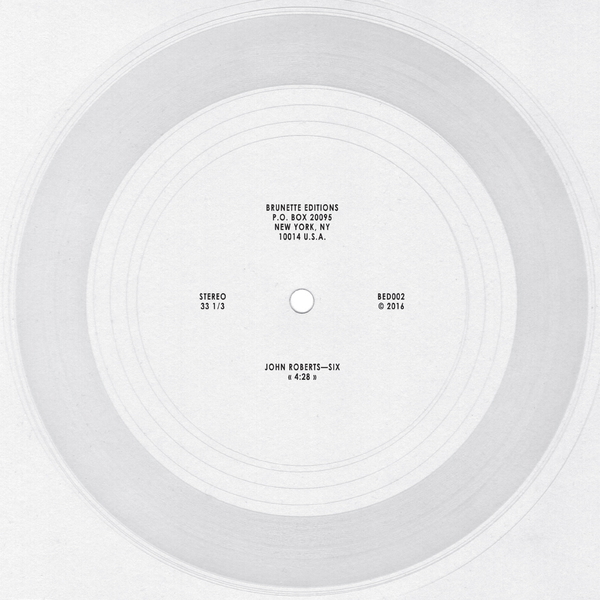 John Roberts goes all Bamboo Music-era Sylvian • Sakamoto on this lil beauty for his home-brewed Brunette Editions. There’s just one song, Six, and that’s all you need, delivering four and half minutes of wavy, between-worlds arpeggios, intercom gremlin crackle and a slippery stn-flute line that would sound just as at home on a JT The Goon record as the aforementioned Sakamoto production. But it’s John Roberts, and he keeps the vibes trim and fresh for play with house, electronica and other ‘floors alike, with just a spot of inherent shabby chic fidelity from the flexi-disc pressing for good measure. Seriously; the first person to whinge about the crackly cut gets loads of mashed coco pops in their next package (jk!). 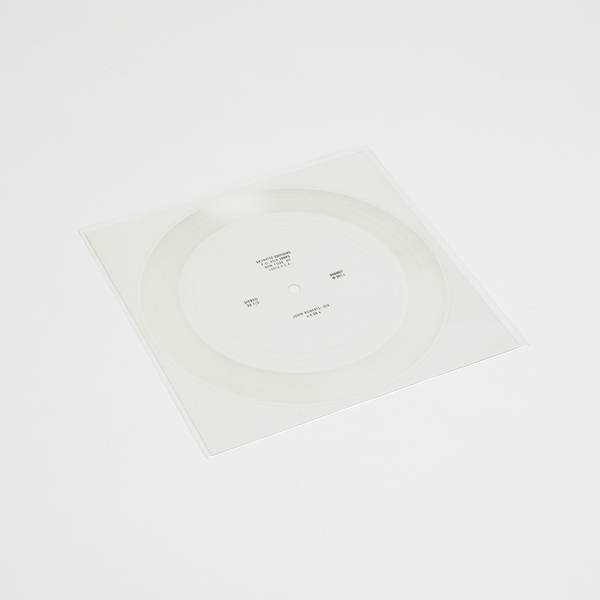 Limited edition clear 7” Flexi Disc.